More reactions and protests has continued to trail President Goodluck Jonathan’s unexpected decision to rename the prestigious Univeristy of Lagos (UNILAG) to Moshood Abiola University (MAU), with the Alumni Association of UNILAG saying that it completely rejects the sudden change of the 50 years old school’s name. 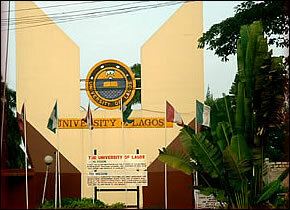 In a press release signed by the National President, Professor Olayide Abass and the National Secretary, Femi Oladimeji, the UNILAG Alumni Association says that while the group holds no prejudice against the person of Late Chief MKO Abiola, it expects that any change in name would have taken stakeholders interest into consideration and followed due process. “We are aware that neither the Governing Council nor the University Senate nor any other stakeholder was consulted before the change was announced”, says the Association in its press release. The group also faulted the hasty means by which the change of the institution’s name was announced, adding “The University of Lagos is the first University to be established by an Act of Federal Parliament in 1962 and has built a strong brand name in its 50 years. That is why it is the University of First Choice and the nation’s finest”. “Without prejudice to the person of Late Chief MKO Abiola, we the Alumni Association on behalf of the entire University Community reject the name as announced”, the statement concluded. Up nigeria, unilag name change to mko abiola is vry good thank you jona . @moyeen, you are sincerely correct @babatunde is just one of the many unilag beefers. The funny aspect of this new development is that majority of pple who are applauding GEJ have onetime or the other seek admission into unilag but were denied mainly b’cos of poor entry results (SSCE, JAMB, Post UME). Is it our fault that you cannot pass common Unilag entry examination, is it our fault that you cannot met up with the educational standard of the University of 1st choices, is it our fault that you don’t have money to settle as some of you claimed, when your swag is not enough how can you enter Unilag. All you Unilag beefers shuld go and drink poison b’cos the name change will not stand, by law we will fight it with the last drop of our blood. Greatest Akokites! Does the name ‘MOSHOOD ABIOLA’ denigrate the prestige of the former University of Lagos? Not at all in my view. IT SHOULD RAISE THE UNIVERSITY TO HIGHER AND NOBLER HEIGHTS AS AN ENDEARING SYMBOL OF OUR STRUGGLES FOR JUSTICE AND THE ENTHRONEMENT OF DEMOCRACY. Mr. President stated in his speech that it was after due consultations that the decision was made! Why the criticisms? Why must all of us be consulted before Mr. President takes a decision? Why? Many of us in our small ‘kingdoms’ here and there have made terrible mistakes in our decision-making process yet we hold the President to standards that can render the office of President impotent. Lets face it; if the matter was debated first, the shine or novelty would have been completely removed from the honour done to the late hero. Just in case, I hold the MBBS degrees of the Moshood Abiola University of Lagos! lol. He is wasting his time! Unilag will remain unilag!!! Nonsense!! He said it, the University has ejected it so he should bow his dumb head shamefully and sit in aso rock doing nothing as usual to address the real issues facing Nigeria!